Belarus’ state-owned fertilizer group Belaruskali plans to make a new kind of crops nutrient in partnership with Chinese companies in an effort to diversify its portfolio. According to Belaruskali's director general, Ivan Golovaty, the company is also mulling a number of investment options involving a Chinese chemical company, the country’s news agency Belta reported. Those projects include the formation of a new firm focused on the making of fertilizers by using Chinese technologies, the article said. Potash prices, while relatively stable so far this year, remain weak due to oversupply, declining farm incomes and weak demand from India and China. 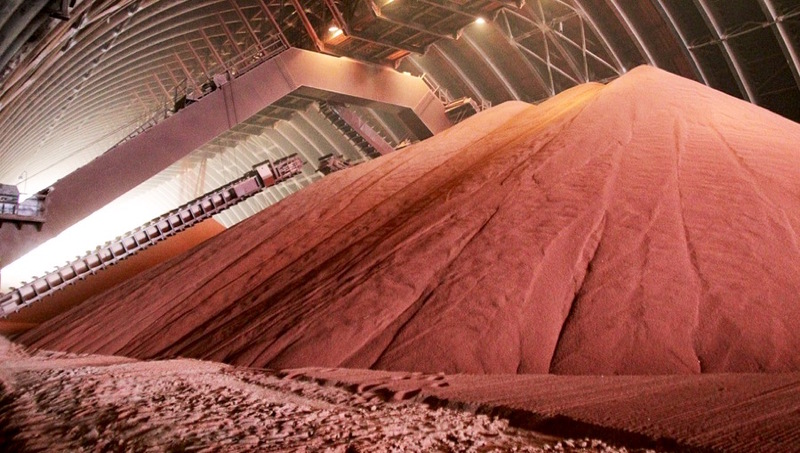 More competition, either in terms of new fertilizers or more mines, is not exactly what the potash market needs these days. Global prices, while relatively stable so far this year, remain weak due to oversupply, declining farm incomes and weak demand from India and China. Those factors haven’t stopped companies for moving ahead with plans to open new mines. German K+S AG (FRA:SDF) is expected to open its Legacy project in Saskatchewan, Canada, before the end of the second quarter this year, while the Garlyk mining and processing factory in Turkmenistan began operations last month.